What's a girl (or guy!) to do when she has a chocolate craving? 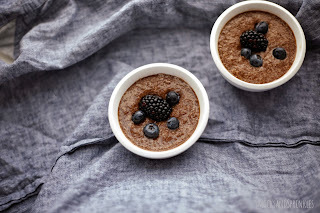 We're kicking off our healthy chocolate pudding series with a recipe for chia pudding! Chia seeds are packed with fibre, omega-3s, protein, and are a great alternative to gelatin in pudding, especially if you're going vegan. 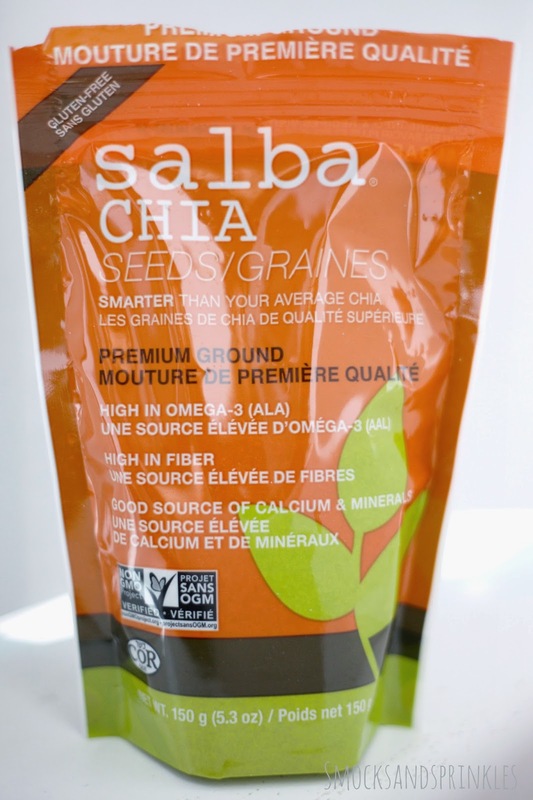 You can find chia seeds at Bulk Barn, Whole Foods, and other grocery stores. I found ground chia at my local Loblaws! 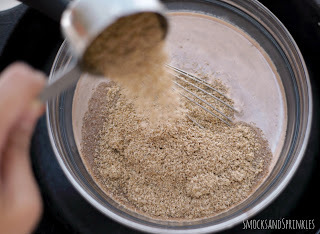 Would you believe I used to have my husband grind up chia seeds with a mortar and pestle (I know, am I a pioneer?!)? He was reaaaaally happy I found already ground ones, haha! Chia seeds are really neat because they form a kind of gel when you put them in liquid. 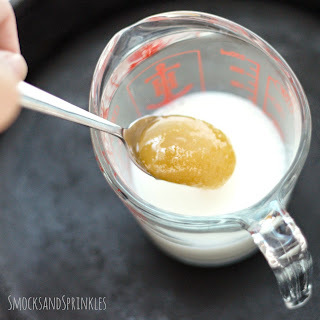 You can put them in smoothies, juices, and other drinks to thicken them and add nutritional value. 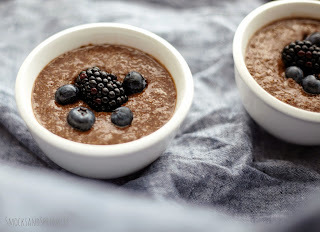 I haven't tried it, but you can apparently use gelled chia seeds as an alternative to egg in some recipes. 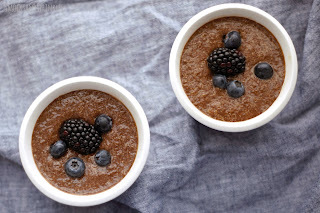 Admittedly, you might find the texture of chia a little bit slimy when you first try it. Toddler-approved! 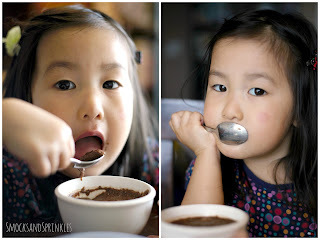 Chocolate pudding you don't feel guilty about giving to your kids! Tip! If you're afraid of committing to a whole pack of chia seeds, buy just a bit at the bulk food store and put it in some juice to try it out! Look, you've just made your own Mamma Chia drink for a fraction of the cost! This dessert is basically choose your own adventure, because it's so customizable! You can decide what type of milk you want, what type of sweetener to use, and how much you want of each. 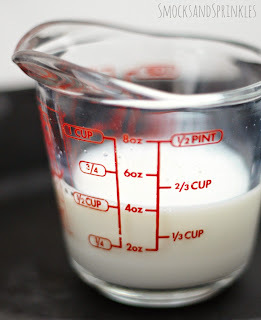 You can even switch out the cocoa for vanilla, or steep tea in your milk for a milk tea flavour. Or maybe even matcha? Yum! 1/3 cup chia seeds (ground or whole) - I like ground chia because it makes for a slightly smoother pudding. 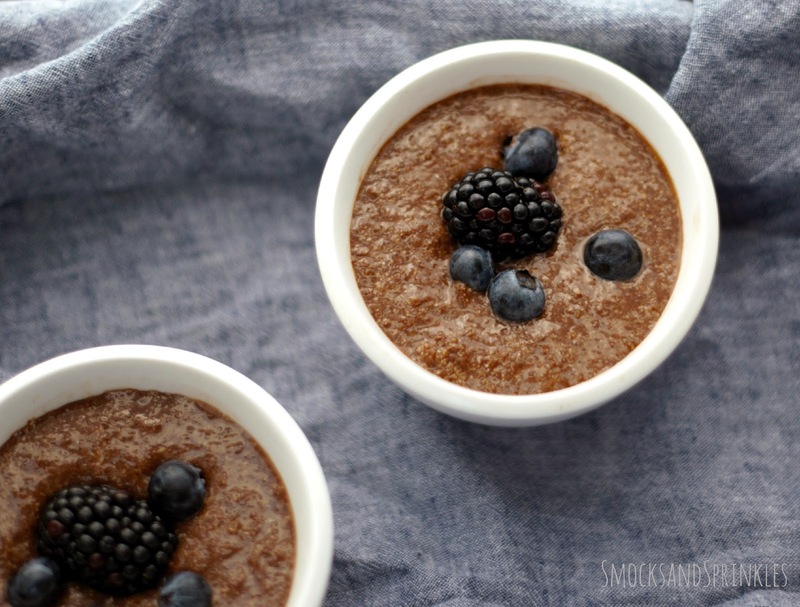 Whole chia seeds make the pudding slightly crunchy. 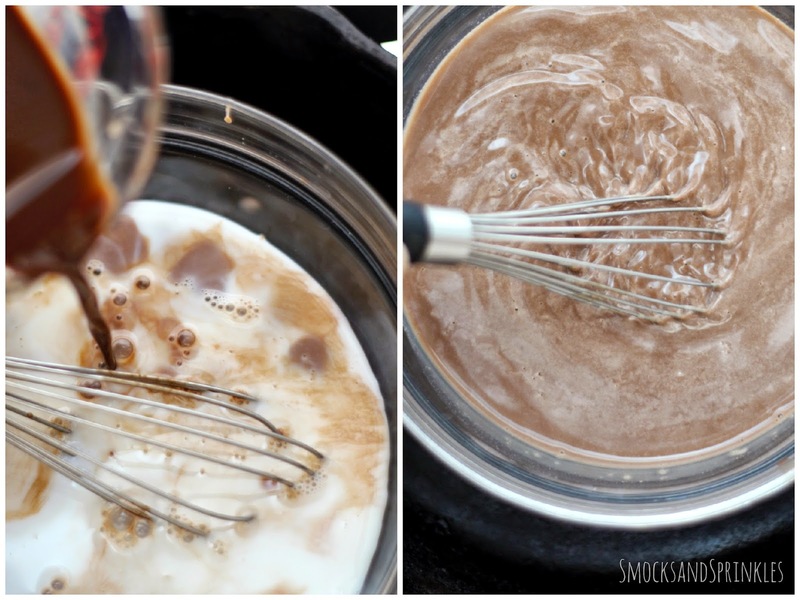 Mix honey and cocoa with milk. I took about a 1/2 cup of milk, warmed it, and mixed my honey and cocoa into it. 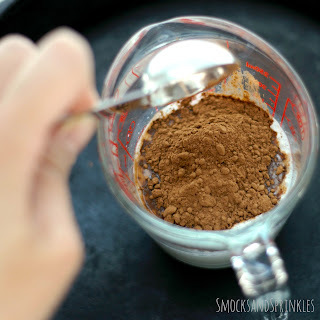 This dissolves the honey faster, and it's easier to get the cocoa lumps out! 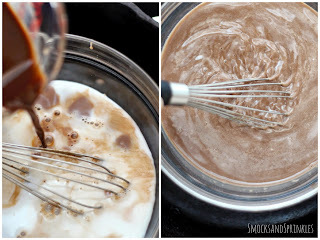 Stir in chia seeds and whisk until well combined. Refrigerate for a few hours to allow chia seeds to absorb the liquid. Tip! If you want a thicker pudding, add more chia seeds. 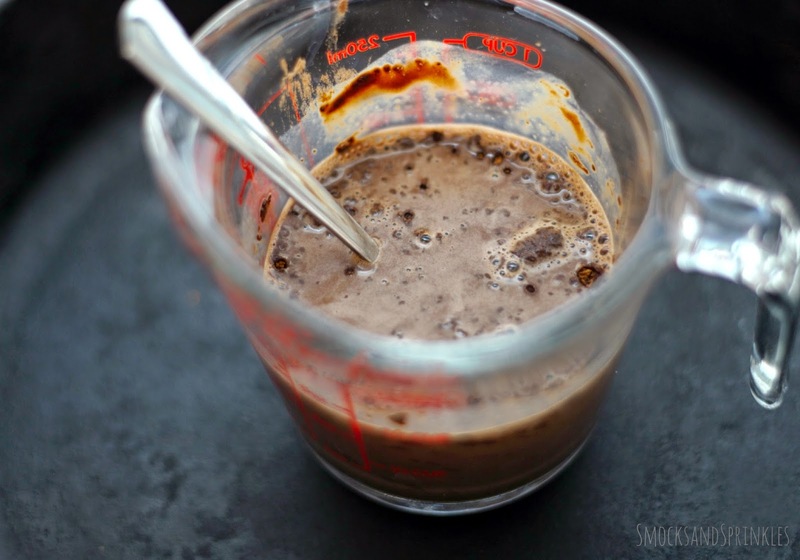 Want to make it more of a thick chocolate shake? Add fewer chia seeds. Have you tried chia seeds before? 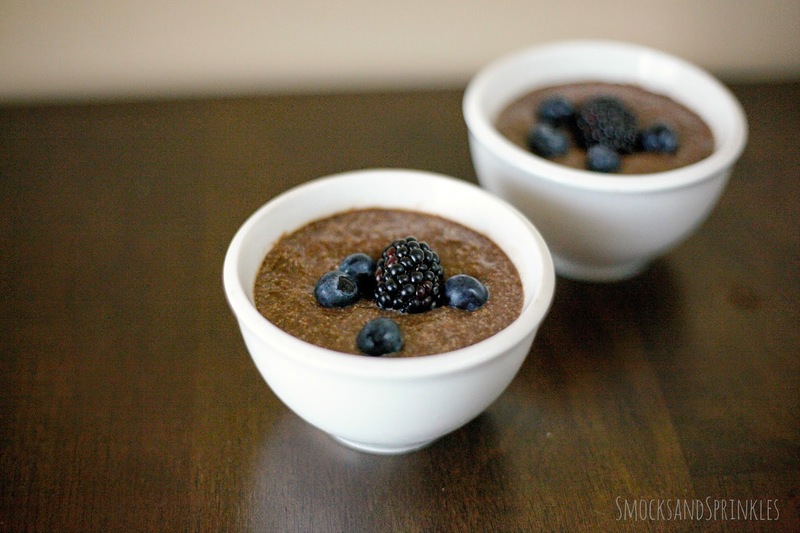 Try making this decadent dessert this weekend. Your kids will never know how healthy it is! And let us know how it turned out! Thanks for sharing this extra information about chia seeds! They're delicious and nutritious, and we love that they taste as great as they are for your body. We all Scream for Ice Cream Parties!